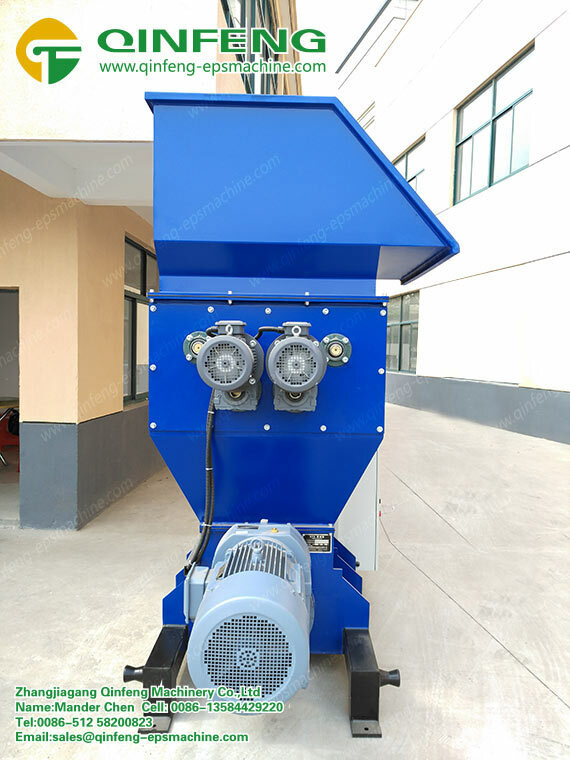 The two shaft crushing blades in the Polystyrene EPS Styrofoam Melting Machine can broke the EPS material into small blacks and go through the screen. 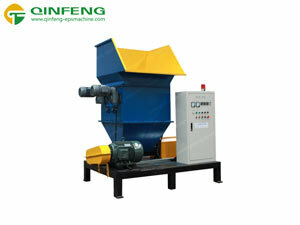 The material that can’t go through the screen will be crushed again, and finally go through the screen. 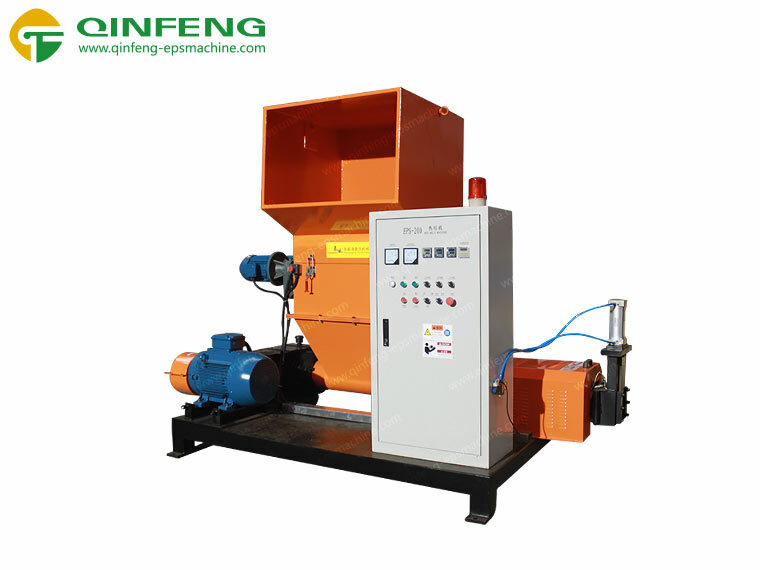 The material will be sent by the high speed rotary screw to the heating barrel. 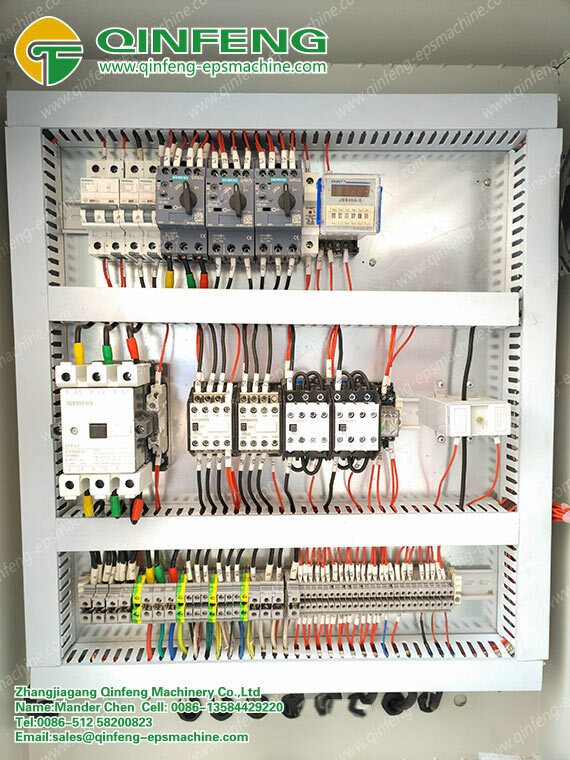 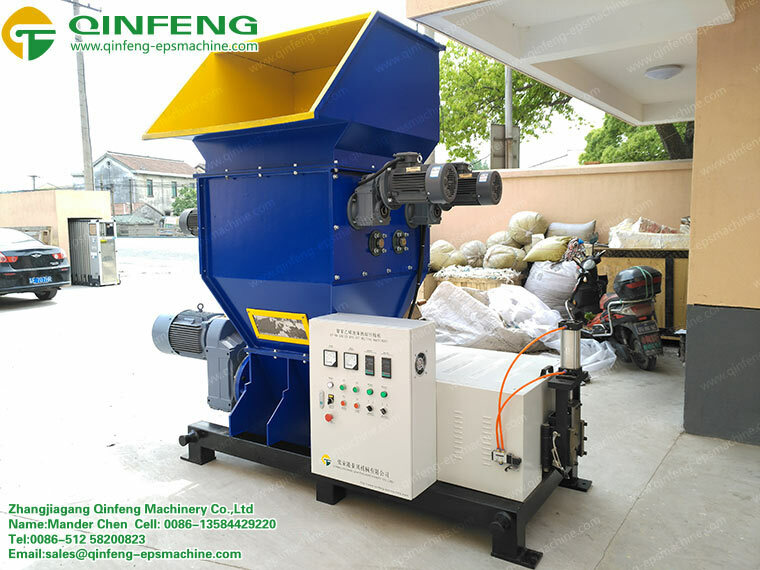 The screw of the main machine can convey and heat the material to melt condition, then extrude them and hydraulic blade cut them to pieces for easy storage and transportation. 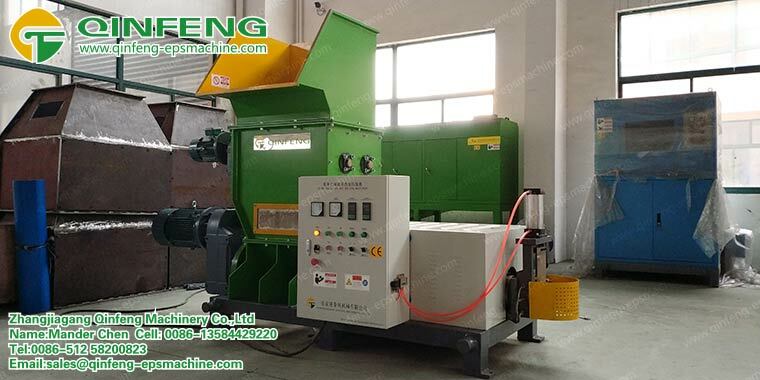 Polystyrene EPS Styrofoam Melting Machine can process multiple materials such as EPS EPP EPE XPS PUR EVA into small hot melted blocks. 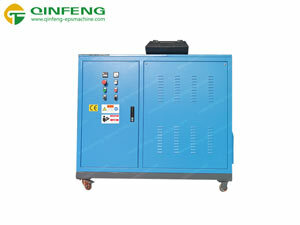 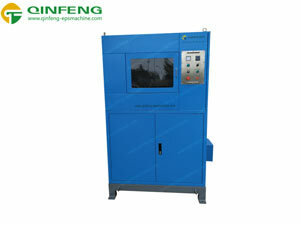 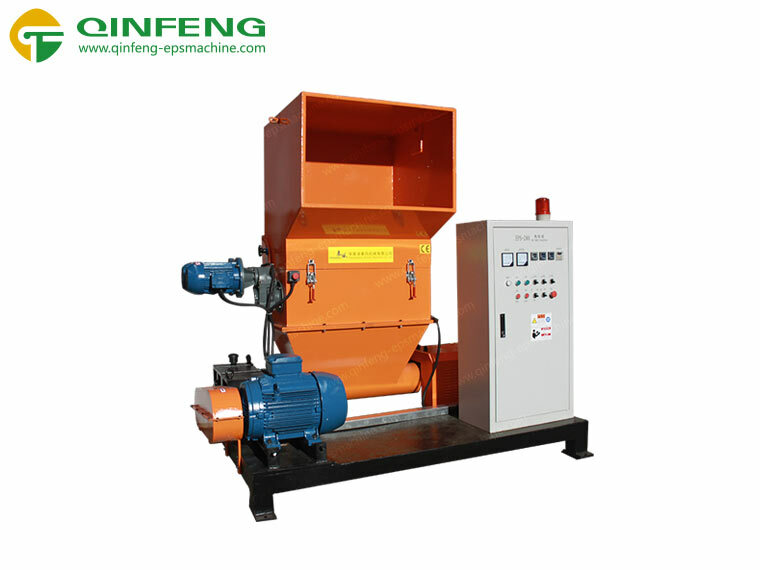 It is middle capacity one for 100kg/h, especially used in middle to large sized recycling center, food market. 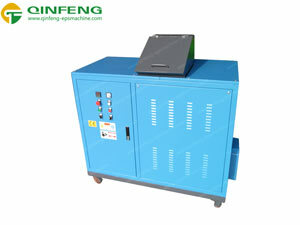 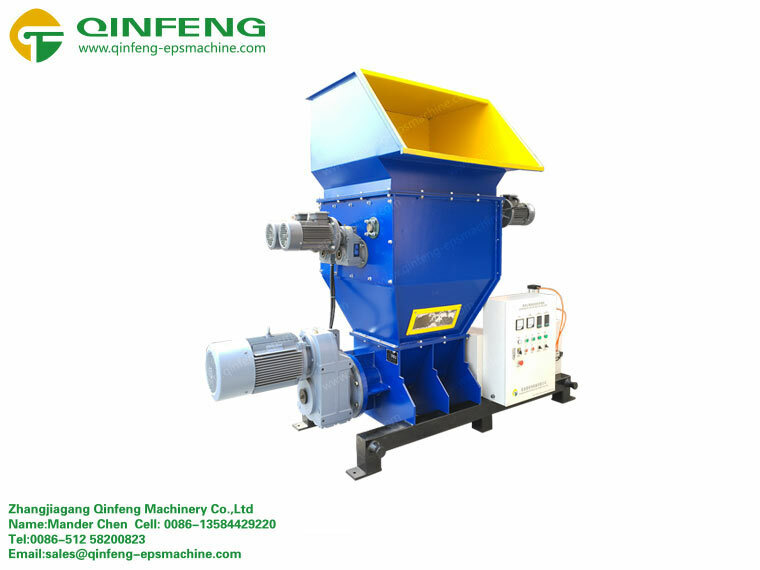 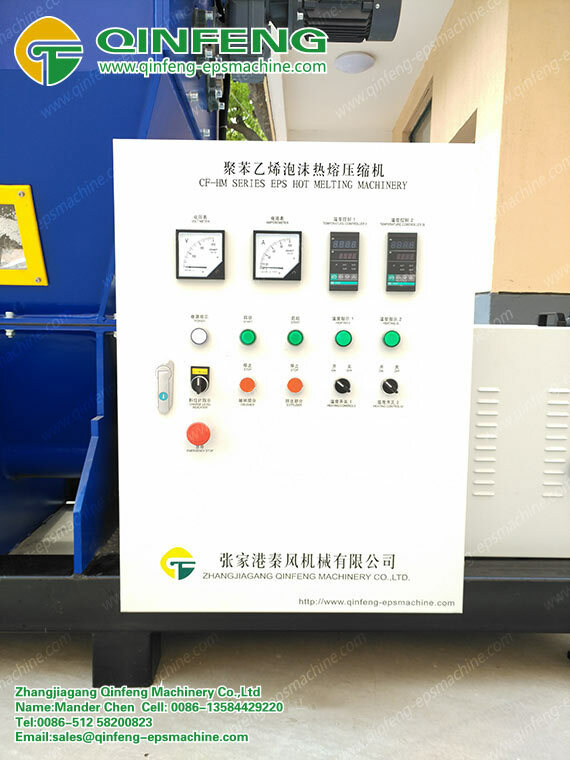 Qinfeng Machinery is a EPS Melter Machine manufacturer in China which can provide you with high quality of Polystyrene EPS Styrofoam Melting Machine.